Toro receives EPA WaterSense certification for its 570Z Series sprayheads. 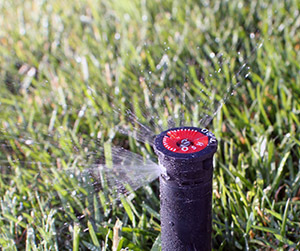 The Toro Co. was awarded WaterSense certification by the Environmental Protection Agency (EPA) for its range of 570Z Series sprayheads with built-in pressure regulation. The certification was awarded after a thorough evaluation and third-party testing in accordance with the EPA’s WaterSense Specification for Spray Sprinkler Bodies. The 570Z Series sprays met or exceeded the specification’s requirements, which include restrictive tolerances for flow and pressure characteristics. Sponsored by the EPA, the WaterSense program is a voluntary partnership between manufacturers, retailers, distributors and other stakeholders. The WaterSense label certifies that labeled products and services use at least 20 percent less water than competing, nonlabeled models.